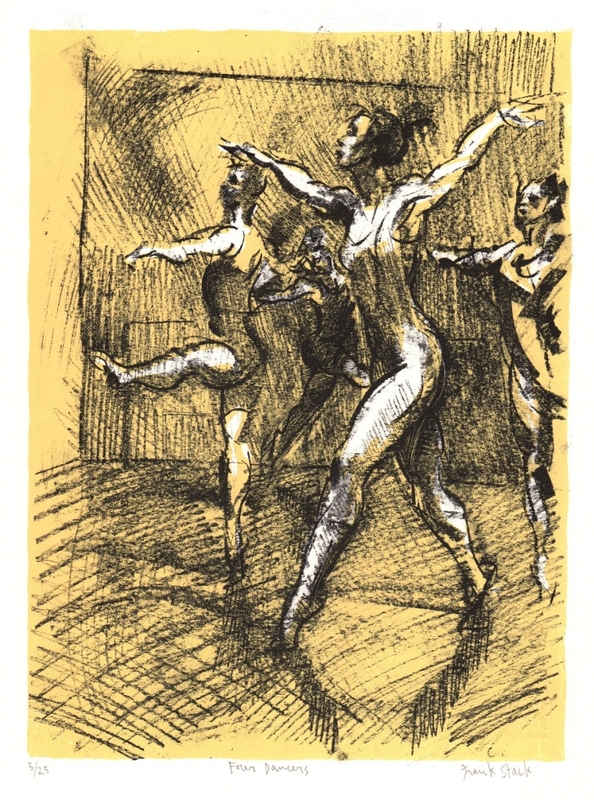 This two-color lithograph, entitled "Four Dancers", was produced with two separate litho stones. The artist sketched the black and white figure drawing on the first stone and this image was then printed on a sheet of fine print-makers paper. The second stone was inked with color which, when printed over the drawing, created the effect of a watercolor wash, mimicking the look of Stack's original paintings. This impression is number 5 from an edition of 25. Image: 12" x 9", Sheet: 15" x 11.25".